A natural diuretic can offer significant advantages over conventional diuretic drugs. However, the DIY use of natural diuretics can be dangerous if taken for the wrong reasons. Dandelion leaves are a well-known and effective natural diuretic. A natural diuretic is an herb or plant used for their effect on the urinary tract and fluid balance. Diuretics are primarily used to eliminate excess fluid from body tissues, to flush the urinary tract in the treatment of urinary infections, and in detoxification of the body via increased excretion of waste products through the kidneys. Severe heart or kidney disease, such as congestive heart failure, unless under the supervision of an integrative or naturopathic physician. Hypertension, especially if you’re already taking a diuretic, except under the supervision of a cardiology doctor. Long-term weight loss program where you want the weight to stay off permanently. Prolonged use or abuse of any diuretics without medical supervision. This can lead to dehydration, which can cause kidney damage and an imbalance in normal levels of electrolytes. Some of the best herbal diuretics include the following five examples. 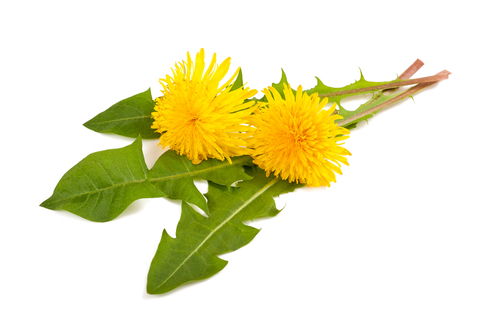 Dandelion leaves are a well-known and effective natural diuretic. A study in mice found that dandelion leaf is comparable to the pharmaceutical diuretic furosemide (Lasix), while a small study in healthy humans found that an alcohol extract (dandelion leaf tincture) significantly increased urine output in terms of frequency and volume. The tincture used in the study was made by Oregon’s Wild Harvest using fresh, organic dandelion leaves and the dose was 8 mL three times daily. Dandelion leaf is very safe. Typical doses of the leaf tincture are 3 to 5 mL three times daily. Another option is to take 4 to 10 grams of the dried leaves as a diuretic tea or in capsules in divided doses. Dandelion leaves can also be juiced or cooked and eaten as a food. 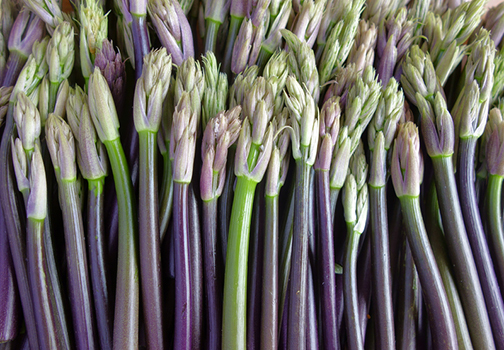 They are highly nutritious, especially in terms of their very high potassium, vitamin A, and vitamin C content. Dandelion leaf is often combined with other botanical medicines into formulations. For example, in a double-blind, placebo-controlled, randomized clinical trial, an extract of dandelion leaf and root was combined with UvaUrsi extract for treatment of 57 women with chronic bladder infections. UvaUrsi (Arctostaphylosuva-ursi) is not a diuretic but has a long history of use for its great value in diseases of the bladder and kidneys. It is reported to strengthen and impart tone to the urinary passages and alleviate inflammation of the urinary tract. In the study, treatment with dandelion and uvaursi for one month significantly reduced the recurrence of bladder infections during the one-year follow-up period, with no incidence of bladder infections in the herbal group and a 23 percent occurrence in the placebo group. No side effects were reported. Parsley is one of the best natural diuretics for edema treatment and fluid retention. Parsley increases urine output by acting as an aquaretic, meaning it acts to increase water excretion from the body without effecting electrolytes such as sodium and potassium the way most conventional diuretic drugs do; parsley’s effect on your body’s electrolytes is largely neutral. Parsley herb extracts have been studied as natural diuretics in combination with another aquaretic, asparagus root (Asparagus officinalis). In uncontrolled trials, this combination caused significant weight loss in overweight patients and significantly lowered blood pressure in patients with hypertension, without changing other laboratory values or physiological processes. Butcher’s broom is a diuretic that also acts as an anti-inflammatory and a tonic to the venous system. Butcher’s broom extract has been extensively studied for its usefulness in treating lower leg edema due to chronic venous insufficiency from varicose veins. It is also commonly used to treat hemorrhoids and has been studied and found to treat lymphedema of the arm in women after previous treatment for breast cancer. Here’s a close-up shot of butcher’s broom shoots. Butcher’s broom is known to decrease leg swelling. Varicose veins cause swelling in the legs because they have a difficult time returning blood to the heart. In one double-blind, randomized, placebo-controlled trial, 166 women suffering from chronic venous insufficiency received either butcher’s broom extract or placebo for 12 weeks. Results showed the butcher’s broom extract significantly reduced leg volume, ankle, and leg circumferences and subjective symptoms such as heavy, tired legs. Typical doses of extract used in the clinical trials corresponded to the equivalent of about 1.6 to 2.4 grams per day of the root. The buchu leaf ‘s principal use is in the treatment of urinary tract diseases, but it also is known to relieve inflammation/infection of the prostate, bladder, and urethra and to treat and prevent kidney stones. Buchu leaves were used by the indigenous people of South Africa for hundreds of years. The medicinal use of buchu was taken up by early Dutch settlers, and Buchu preparations are now widely used as diuretics in Western herbal medicine. Because buchu leaf is both a diuretic and a urinary tract antiseptic, its principal use is in the treatment of urinary tract diseases. For instance, it is commonly used for the treatment and prevention of urinary tract infections. It is also used for inflammation or infection of the prostate, bladder, and urethra and to treat and prevent kidney stones. 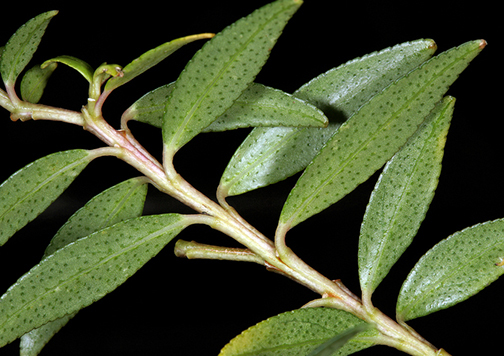 Buchu is often combined with other herbs like uvaursi leaf (see above). For instance, in her line of herbal formulas, Dr. Tori Hudson, ND, combines buchu with uvaursi, cranberry extract, and other botanicals in her product called Cranstat Extra to help kill the urinary tract bacterial infection, sooth the urinary tract, and flush the urinary system. Remember: Natural diuretic supplements should be taken with lots of fruits and vegetables as well as water, water, water! The natural diuretics listed above are just a small number of the many, many medicinal herbs with diuretic properties. 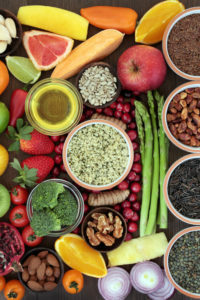 Whether you take a diuretic tea, tincture, or encapsulated supplement, make sure (we can’t emphasize this enough) that you take in lots of fluids and eat plenty of fruits and veggies for optimal nutritional support while you’re ridding yourself of excess fluid. MediHerb US e-Monitor. 2007 May;13:1. Altern Complement Therap. 2008 April;14(2):69-77.
alcohol, anti inflammatory, bacterial infection, blood pressure, breast cancer, breast cancer treatment, cancer, cancer treatment, cardiology, congestive heart failure, dehydration, detoxification, detoxification of the body, diet, diuretic, diuretic tea, edema, excess fluid, food, heart failure, Hemorrhoids, herbal diuretics, herbal medicine, hypertension, infection, inflammation, integrative, kidney stones, lymphedema, natural diuretic, natural diuretic for edema, natural diuretic supplements, natural diuretics, naturopathic, naturopathic physician, organic, pms, potassium, Prostate, side effects, supplement, supplements, tired, tired legs, treatment for breast cancer, varicose veins, vegetables, vitamin, vitamin a, vitamin c.
I’ve used uva ursi for my daughter when she has had bladder infections in the past. It always clears up the infection quickly. And, she doesn’t need any antibiotics. Where can I buy. Butchers Broom for a dierectic? Where can I buy the butchers broom for a diuretic? Where can I buy Butcher’s Broom extract?? Is there a potassium sparing natural diuretic that can be used instead of lasix ? I am looking for the healthiest most effective Natural Diuretic for the purpose of lowering blood pressure. I am looking for the healthiest/best Natural Diuretic for lowering blood pressure.